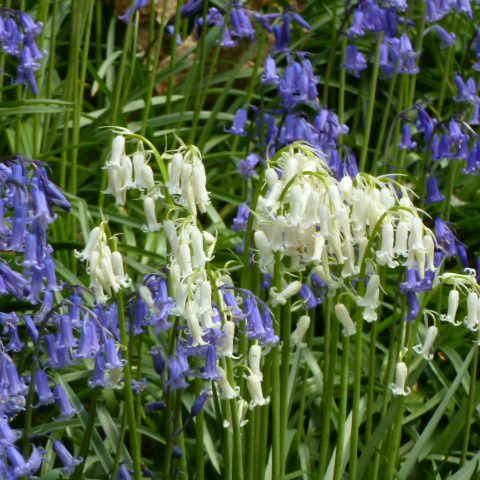 The range of bulbs suitable for planting under the low canopy of large trees is limited. 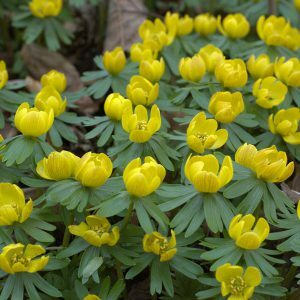 The summer moisture levels are so severely reduced it is better to limit planting to autumn and spring flowering bulbs and not add herbaceous plants for summer interest as these will struggle to survive, and add little to the scheme. There will be enough interest provided by the tree, so a simple fine bark mulch should do. 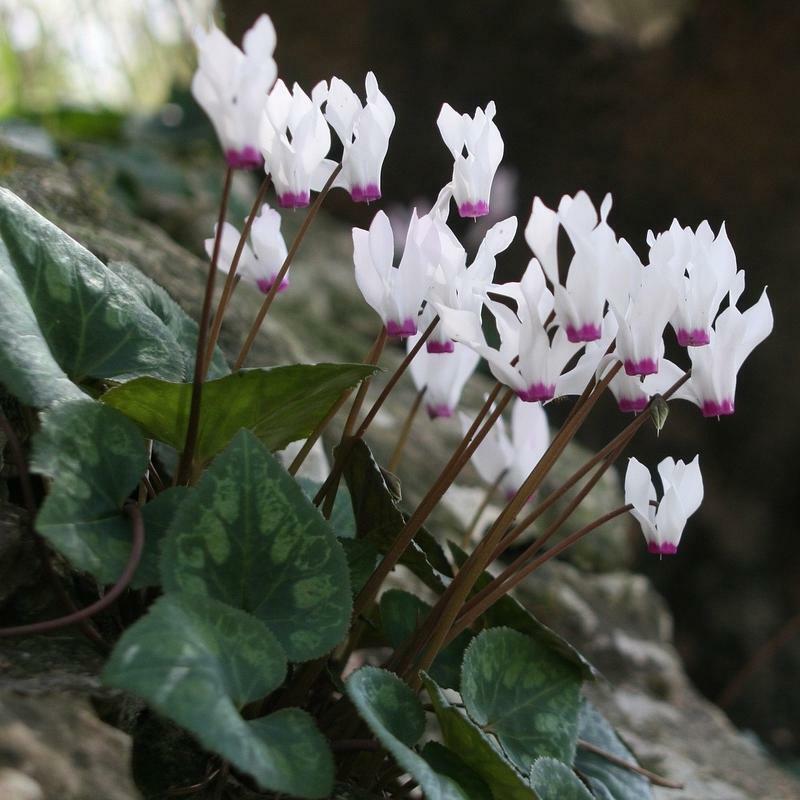 One of my favourite plants for these conditions is Cyclamen hederifolium which comes in a variety of pink or white flowers that appear during August & September. 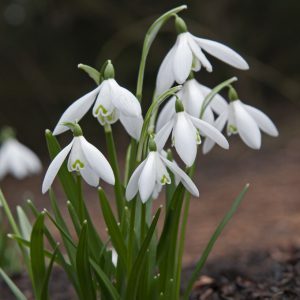 Their beautifully marbled leaves which follow the flowers are last all winter, and provide an excellent foil for other bulbs. Do not confuse C.hederifolium with Cyclamen coum. The former is the Mediterranean variety which enjoys dry conditions. The latter prefers the more open aspect of mixed woodland with more continuous rainfall. It needs a humous rich soil, in shade. Always plant them in large numbers. Peter Nyssen offers a discount on numbers over 50! Partner C. hederifolium with Eranthis hyemalis (Winter Aconite) and Galanthus nivalis (Snowdrops), all of which will happily seed into each other to form a finespun carpet. Bluebells are also partial to these conditions. 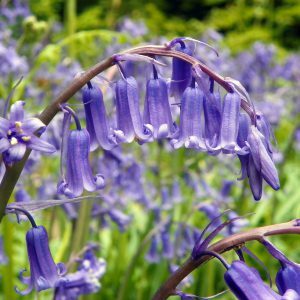 Choose the native Bluebell Hyacinthioides nonscriptus rather than the more vigorous Spanish Bluebell H. hispanicus as this is invasive. Galanthus nivalis 'Anglesey Abbey' at Anglesey Abbey. If you love the smell wild garlic, Allium ursinum is wonderful, but again this is hugely invasive, so choose a large area, or it will get out of hand. 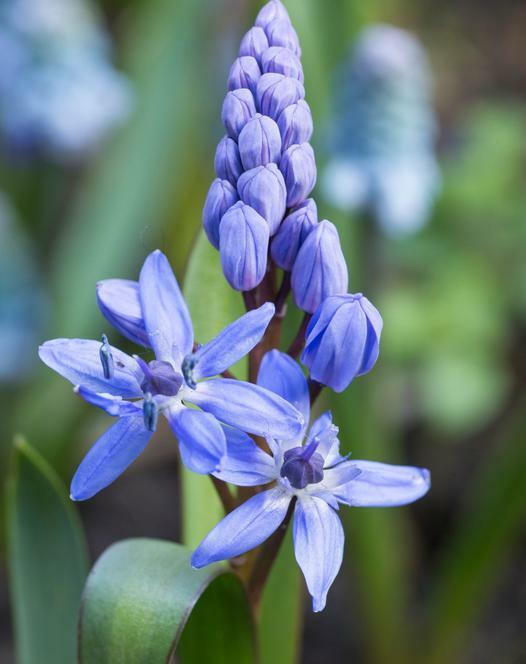 Similarly the delightful dwarf blue Scilla bithyinica spreads rapidly to cover large areas in a sea of delicate blue spikes. Evergreen trees and the permanent shade of buildings create a very different problem. Not only do they provide a permanent umbrella against moisture the conifers have shallow, far-reaching roots which seek out nutrients. 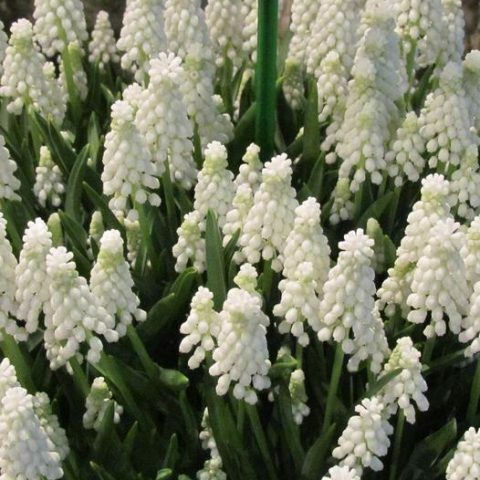 The vigorous bulb Muscari (grape hyacinth) will happily tolerate these harsh conditions. When partnered with ‘Whitebells’ the blue Muscari make a pretty edging a cypress hedge.